CEF Live is returning to Birmingham’s NEC Arena on the 8th- 9th June, 2017. Hosted by supplier CEF, this year’s event runs across two days and will feature well-known brands, exclusive on-the-day offers and information about upcoming industry changes. Ahead of The IET Wiring Regulations 18th Edition, expected to publish in July 2018, visitors can gain a first insight into how the new edition of BS7671 could affect the way they work and hear from industry experts on the key changes and additions available to view in The Draft for Public Comment document. There will also be seminar sessions on the latest trends and technologies, including a talk from industry legend and NICEIC’s senior marketing and events engineer, Tony Cable. CEF Live will be the last chance to see Tony speak in a professional capacity following his plans to retire later in the year. 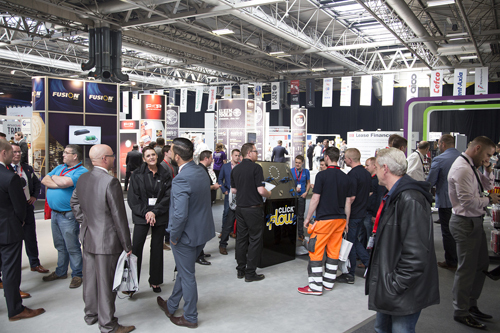 Alongside the speakers, over 45 electrical brands will be at the show. Those signed up so far include DeWALT, Milwaukee, Klein Tools, Schneider, Eaton, 3M and Aico, along with Nest and Hive. In a new development for the 2017 event, the second day will have a focus on young professionals, with a host of activities designed specifically for those entering the trade. Supportive workshops and fun skills challenges will also be available for attendees looking to boost their industry knowledge.